Owen Dugan, features editor at Wine Spectator recently published the article “Matched” in the February 2015 issue. He breaks down the complexities of pairing wine and chocolate, into five simple tasting guidelines. This Valentine’s Day, explore the dimensions and experience, the right blend of wine and chocolate with your special someone. There are few hard rules in matching wine and chocolate, but the following general principles will help focus your aim. • Taste broadly. Don’t limit yourself to the planned. matches; happy matches can come from unexpected, combinations, and the more you taste the sharper your palate will become. • End sweet. Sugar is more persistent than dark chocolate, so taste sweeter chocolates and wines last. • Drink sweet. Though there are excep­tions,they are few. The most universally agreed upon rule is that the wine should be sweeter than the chocolate. • Match like to like. If there are nuts or nutty notes in the chocolate,find a wine that has them too. Ditto fruity,sweet , floral and so on. • Complements attract. Sometimes a fruity wine can provide flavors missing from a dry, earthy bar. The tasting’s takeaway : Open Lip and try more. Rather than starting with rigid pairings, start wide open to anything that might happen. Set an order, give yourself time for each thing you taste Browning says at least 30 seconds; I would triple that and try every combination.Any­ one who matches food and wine knows that for all the knowledge and planning there are those moments when something really surprising happens. Some of the best matches are counterintuitive , and won’t happen if you don’t commit to experimenting. And even if it is not a per­fect match, you”re still drinking wine and eating chocolate. 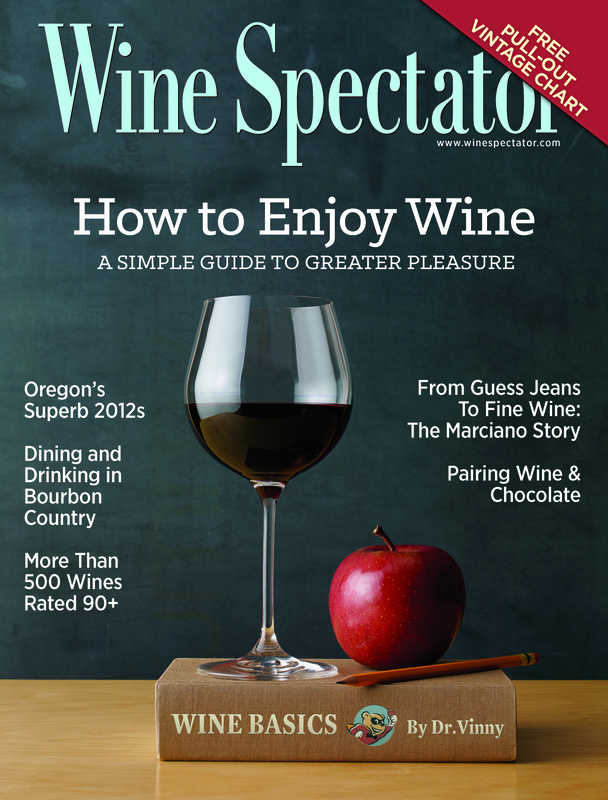 These experts republished with permission from http://www.winespectator.com.